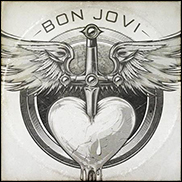 BEIJING, China (CelebrityAccess) — Despite Bon Jovi's enormous popularity in China, the Chinese government has canceled the band's first dates in the country without warning or explanation. Promoter AEG Live Asia also did not offer any insight into the motivations for the canceled shows, but said in a statement Tuesday that refunds will be offered for shows scheduled Sept. 14 in Shanghai and Sept. 17 in Beijing. AEG also apologized "for the inconvenience and disappointment that this will cause." According to The Financial Times, China's Culture Ministry canceled the shows due to Bon Jovi's use images of the both the 1989 student protests in Tiananmen Square as well as the Dalai Lama in videos on past concerts. The Dalai Lama, a spiritual leader from Tibet, has been accused by China of being a "violent seperatist" for maintaining that Tibet is a sovereign nation and not a Chinese territory. Tibet revolted against the Chinese Qing Dynasty in 1911 but was reabsorbed into China in 1951.